moonkitty.net: Is Rini, Serena and Darien's daughter? Is Rini, Serena and Darien's daughter? 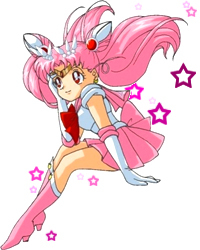 Rini (Chibi Usa) is most certainly the daughter of Serena and Darien (Usagi and Mamoru). Rini was born in the future (so Serena and Darien haven't had her yet but will) and travelled back in time to make her first appearance in Episode 54, Serena Times Two (Japanese Episode 63, Angel? Devil? The Mysterious Girl Who Came From The Sky). 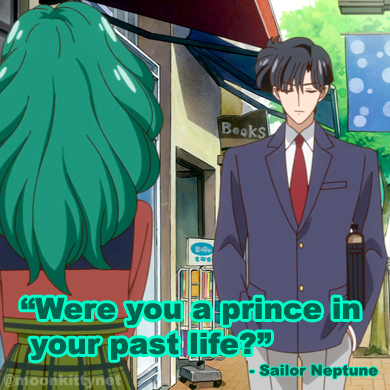 Her parentage was heavily hinted at since her first appearance and confirmed several times throughout the Sailor Moon R season by herself, Wiseman, Sailor Pluto, King Endymion (the future Tuxedo Mask) among many others. 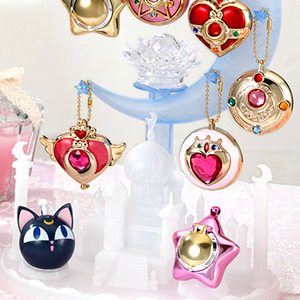 Rini is the only child of Sailor Moon and Tuxedo Mask. In the manga it is stated that Neo Queen Serenity (future Sailor Moon / Serena / Usagi) can only have one child and that Rini is it. In the final chapter of the manga, Serena tells Darien that she senses she is pregnant with Rini ("the birth of a new star") moments before their wedding ceremony. Rini's full name is actually "Serena" (after her mother) but is called Rini as a nickname. She also goes by "Small Lady". In the Japanese version, her full name is of course "Usagi" and is nicknamed Chibi Usa which basically means "small" or "mini" Usagi. She is also called the English title, "Small Lady" in the Japanese version. Thanks to KatMoon219 for asking this question via Twitter.